Pineapple and Jalapeno's - Hawaiian Cowboy Delight! - Canning Homemade! Home » Jalapenos » pineapple » Pineapple and Jalapeno's - Hawaiian Cowboy Delight! Pineapple and Jalapeno's - Hawaiian Cowboy Delight! 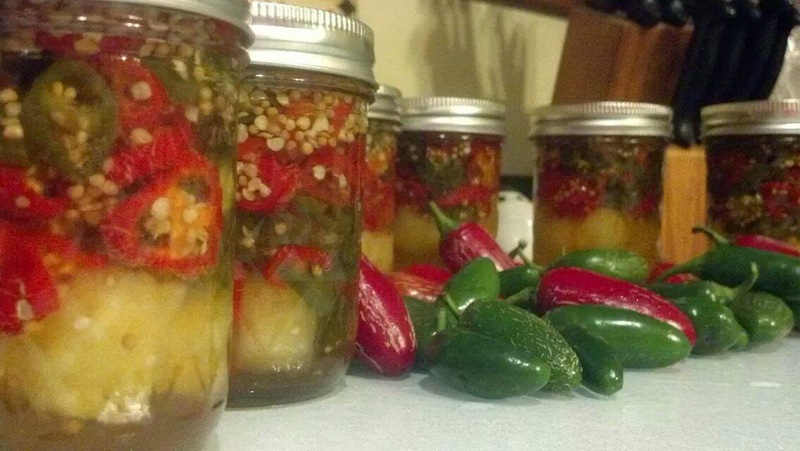 Peggy from the SB Canning page asked me whether or not she could add pineapple chunks to the pickled jalapenos in order to make a sweeter-heat version. By using the same recipe for Cowboy Candy (pickled jalapenos) and adding about 4 or 5 chunks to the bottom of the jars the result is a great combination of flavors. This new jar has the makings of a Hawaiian pizza with Canadian bacon, a quick blend or chop and you have a great quick relish for hamburgers, or just a great appetizer with cream cheese and crackers. It could also be a dip you can blend in a food processor like the recipe Jennifer made (Cowboy Candy Dip) with cream cheese and serve it at your Hawaiian Luau. Be creative and if you find a great recipe come back and share! Slice jalapenos. Mix cider vinegar, sugar, and mustard seed to low boil. Reduce for 5 minutes to a simmer. Add jalapenos at the simmer for 5 minutes more. Load hot sterilized jars with 4 to 5 chunks of pineapple. Using a slotted spoon add jalapenos first and add liquid filling the jars leaving a 1/4 headspace. Remove air bubbles with a rubber spatula or chopstick and refill to headspace if needed. Wipe rims with wet papertowel. Add hot lids/rings and place in water bath canner. 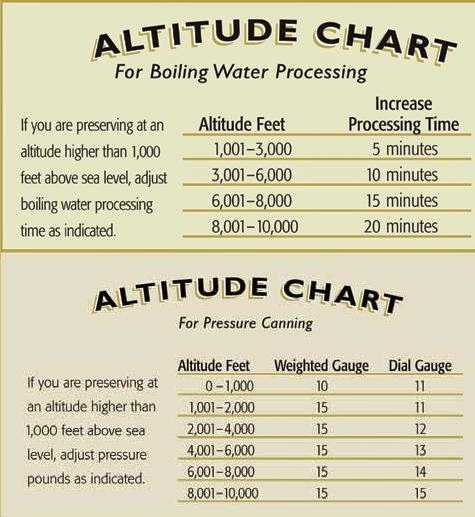 Process at a full boil for 15 minutes. Makes 2 pints and 1 half pints or 5 half pints. Thanks Barbara for letting me share your work!